One of the most important positions in any K-pop group is the main vocalist. They’re the heavy lifters, the powerhouses, hitting high notes and taking names. However, they often manage to eclipse the vocal talents of the lead vocalists of their group. Lead vocalists may not have the range or power that main vocalists do, but there’s a huge difference between not being a powerhouse and being tone-deaf. Therefore, I present a look at some of the more chronically over-looked lead vocalists in K-pop. Sistar’s Soyu is easily the poster child for ignored lead vocalists. She’s very talented, with a gorgeous airy soprano voice. In any other group, Soyu could easily have been the main vocalist. However, Hyorin‘s powerful vocals were a better fit for the direction Sistar’s music took, thus allowing for Soyu’s voice to go unutilized. In the last year or so, though, she’s emerged from Hyorin’s shadow through her monstrously popular duets “Stupid in Love” and “Some”. This route is quite perfect — Soyu’s delicate vocal tone may not mesh with Sistars’ in-your-face sound, but it’s made for duets. She’s capable of vocal blending without getting lost, and her airy voice gives her songs a very distinct sound. It’s odd to think of any member of SNSD as under-rated, but Sunny certainly qualifies, at least as far as her voice is concerned. She’s thought of mostly as SNSD’s designated variety girl, with the difficult lines going to the other members of the vocal line. But like Soyu, this is less reflective of her vocal skills and more reflective of SNSDs’ music. Her voice is one of the most distinct in the group. Sunny’s range is almost completely on the upper end of the vocal register, yet it retains a fullness of tone not often heard in sopranos. Unfortunately, that rarity makes writing parts for her voice difficult, and it definitely doesn’t go with the bubblegum pop that comprises SNSD’s early work. On the plus side, her OSTs “The Second Drawer” and “You Don’t Know About Love” have given her the chance to show that she’s on the same level as the rest of SNSD. Her parts in b-sides like “Trick”, are also great showcases. To the everlasting credit of A Cube, A Pink‘s songs don’t rest on Eunji‘s vocals alone. The company focuses the majority of praise on the vocal talents of one member, while neglecting the abilities of the lead vocalists. Fans will be quick to point out that the group’s vocal line consists of three female voice types: alto Namjoo, mezzo-soprano Eunji and soprano Bomi. That being said, most of A Pink’s music falls in the mezzo range, to allow for the best harmonization and utilization. This also means that the majority of their repertoire doesn’t feature parts written in either extreme — they wouldn’t fit. Thus, Bomi and Namjoo get a good amount of lines, but not parts that show off what they can do. After all, when it comes to that mid-bridge “whoa” moment, Eunji’s belting is a guaranteed hit, whereas Namjoo and Bomi are stable but not stunning. Namjoo and Bomi are starting to make their mark as featured artists, though — Bomi has featured in M.I.B.’s “Let’s Talk About You” and Namjoo has helped Phantom to promote “Seoul Lonely”. They two have also been announced as the members of A Pink’s first sub-unit, BnN, and this should gives them the chance to show the world just what they’ve got. Beast’s Dongwoon might be the most perplexing case of lead vocalist syndrome in K-pop. With the other singers I’ve discussed, there’s a logic to why they’ve gotten the short end of the stick. But Dongwoon just doesn’t make sense. No one has ever accused him of being a worse singer than Yoseop; in fact, no has accused any of Beast of being untalented. He’s just kind of invisible to non-B2TY’s, which is sad, as Yoseop and Dongwoon are vocal foils. Equally matched, Yoseop has the high parts covered, while Dongwoon takes the meaty lower parts. Listening to them, the distinction of main vs lead seems arbitrary. 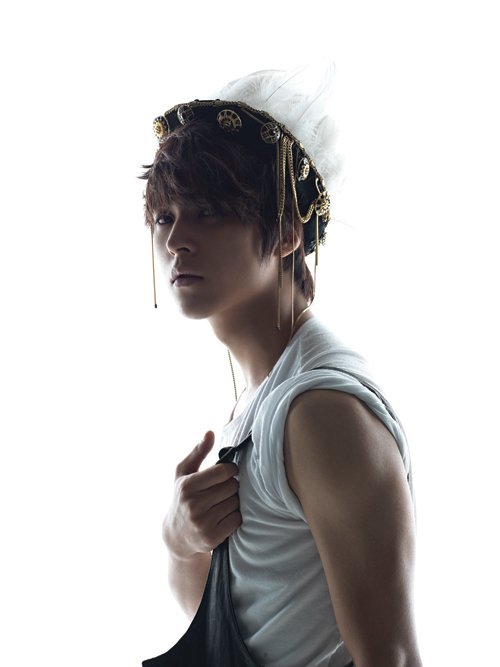 Yet Dongwoon has had two solo projects in five years, compared to Yoseops’ dozen. If Dongwoon had done more OST featurettes and such in the group’s early days, he would surely be a better known vocalist now. Most lead vocalists get ignored because they’re too different from the main vocalists, and this prevents their skills from being highlighted. B1A4’s Jinyoung suffers from sounding too much like Sandeul. While his compositional skills are known and admired, his status as lead vocal is often overshadowed. Both boys possess rather high ranges — almost to falsetto heights — and they offer light, warm vocal tones that are very pleasant to listen to. Despite the similarities, it’s possible to tell the difference; it takes a bit of practice (or habitual listening) to make out their voices. In the group context, Jinyoung may sit in the background — or alongside Sandeul — but his skills as a hitmaker have been able to win him fans. Beyond his well-liked solo work, like “Be My Girl”, there’s hope that one day he’ll come to the forefront as a lead vocal. These six are just a handful of the lead vocalists in K-pop who need more love. Readers, are there anymore who really stand out to you?